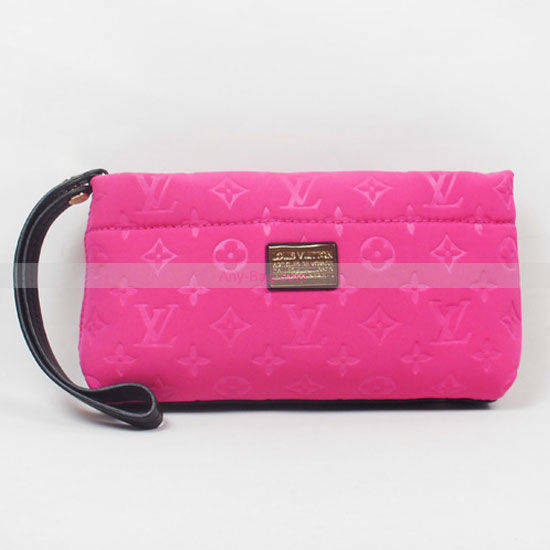 4.Size:10.2" x 5.9" x 2.4"
:Part of the Monogram Scuba line from Cruise 2009 collection comes the Monogram Scuba Clutch made from Neoprene (polychloroprene), a synthetic rubber that is used in a wide variety of applications. 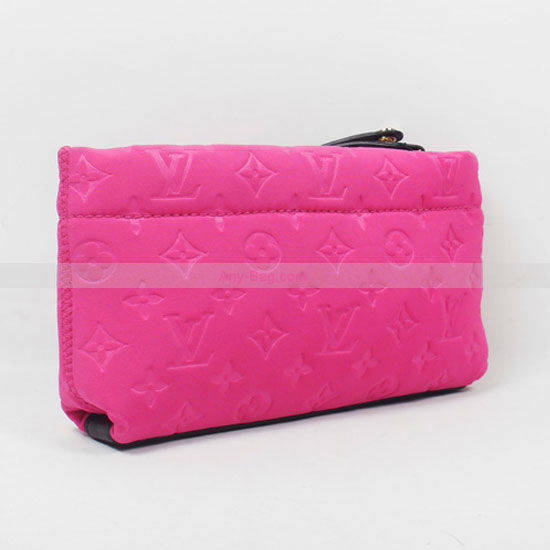 This innovative clutch is both functional and lightweight and comes in two striking fluorescent colors now; Fuchsia and Orange, both of which makes a must have summer accessory. Designed by Marc Jacobs, in a reinterpreted and innovative neoprene version of Monogram, is functional and lightweight. 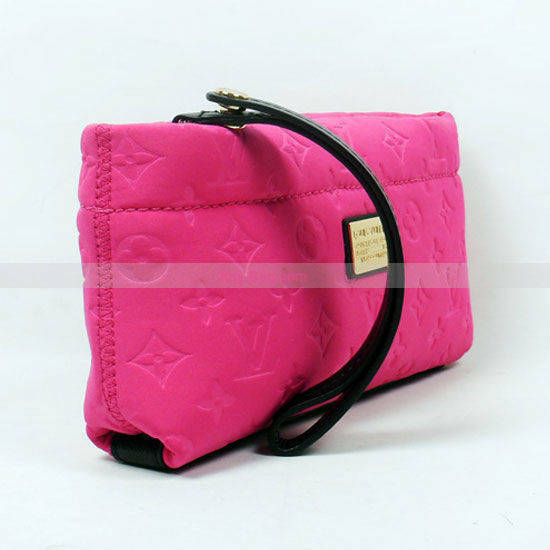 It is striking with its metallic Louis Vuitton plaque and is easy to carry thanks to a wrist strap. Packaging: 10.2" x 5.9" x 2.4"